There is now a copyright license filter built into the Bing Image search that allows you to filter images by Creative Commons License. The images are free to use according to the terms of each license. 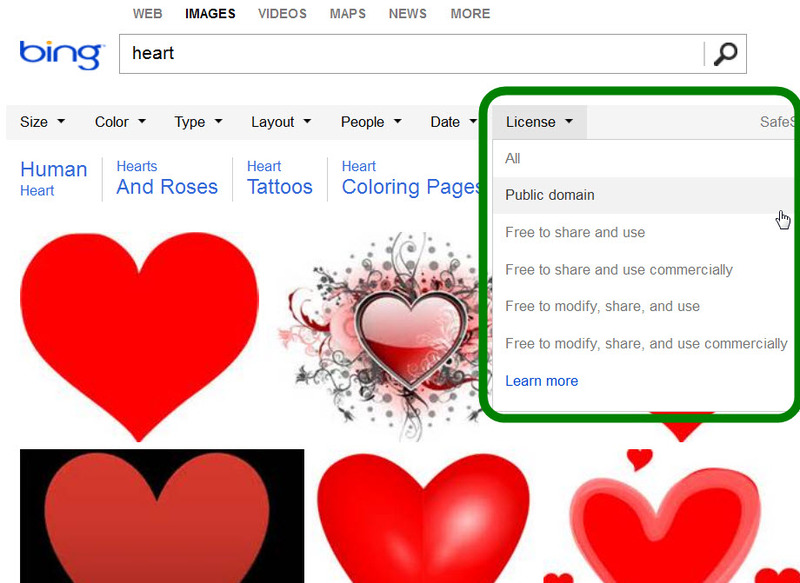 This new feature incorporates Flickr and many other image sources. Public domain: The image creator has waived their exclusive rights, to the fullest extent allowed by law. Free to share and use: You can share and use these images, but changing or editing them may not be allowed. Also, modifying, sharing, and using them for commercial purposes may not be allowed. This option typically has the most results. Free to share and use commercially: You can share and use these images for personal or commercial purposes. Changing or editing them for personal or commercial purposes may not be allowed. Free to modify, share, and use: You can modify, share, and use them. Modifying, sharing, and using them for commercial purposes may not be allowed. Free to modify, share, and use commercially: You can modify, share, and use these images for personal or commercial purposes. This option typically has the fewest results. Direct your browser to Bing Images. Type your search term in the search box and then click on the search button. Click on the License drop-down menu and then select a license (see image below). You will then be shown only those images that meet the criteria for the selected license. 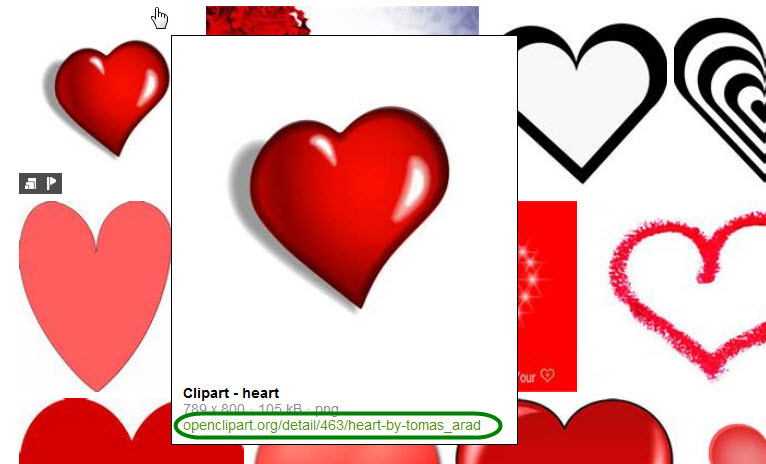 Place your cursor over an image and a pop-up box will appear that contains the URL for the image’s originating Web site (see image below). Once you locate an image, go to the originating Web site for that image and determine its actual license. Next, go to Creative Commons and read and understand the license and its provisions, restrictions, and attribution requirements. For more information, contact the HSLS Main Desk at 412-648-8866 or Ask a Librarian. *Parts of this article were reprinted from the Bing Help Web site.